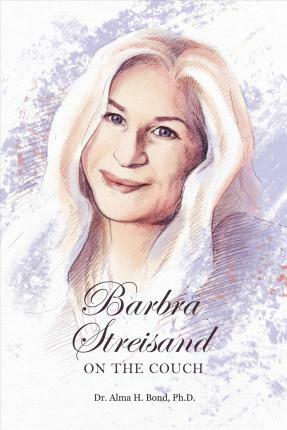 Barbra Streisand has been a show business staple for decades, from Funny Girl and Hello, Dolly! to The Way We Were and, more recently, the Fockers franchise. Whether gracing a stage, screen, or album cover, Barbra's iconic silhouette is a globally-familiar image. We know Barbra the star, but how well do we know Barbra the woman? In Dr. Alma H. Bond's latest installment of her On the Couch series, Dr. Darcy Dale―a renowned New York City psychiatrist whose expertise has been sought by such larger-than-life women as Jacqueline Onassis Kennedy, Marilyn Monroe, and Hillary Clinton―is confronted by Barbra, dismayed after 30 years of minimally successful therapy. Over the course of a year, Dr. Dale conducts an intimate psychoanalysis, breaking through ego, defense mechanisms, and repressions to go deep into the heart and mind of one of America's last remaining superstars. Born in February 1923, Dr. Alma H. Bond is the author or co-author of more than 20 published books, among them: Jackie O: On the Couch; Lady Macbeth: On the Couch; Marilyn Monroe: On the Couch; Michelle Obama: A Biography; The Autobiography of Maria Callas: A Novel; Margaret Mahler: A Biography of the Psychoanalyst; Camille Claude: A Novel; America's First Woman Warrior: The Story of Deborah Sampson; and Who Killed Virginia Woolf? : A Psychobiography. Dr. Bond received her Ph.D. in developmental psychology from Columbia University, graduated from the post-doctoral program in psychoanalysis at the Freudian Society, and was a psychoanalyst in private practice for 37 years in New York City. Following an accident-induced coma from which she was not expected to recover, she "retired" to become a full-time writer. Dr. Bond is a member of the American Society of Journalists and Authors, the Dramatists Guild, and the Authors Guild, as well as a fellow and faculty member of the Institute for Psychoanalytic Training and Research, the International Psychoanalytic Association, and the American Psychological Association. She was one of the first non-medical analysts to be elected to the International Psychoanalytic Association. Dr. Bond grew up in Philadelphia, where she obtained her undergraduate degree in psychology from Temple University, and following voluntary military service, moved to New York, where she earned a graduate degree in psychology from Columbia University. A longtime resident of New York City, she lived for nearly a dozen years in south Florida, and now resides in Carlisle, Pennsylvania.